is a disciplined process of inquiry conducted by and for those taking the action. 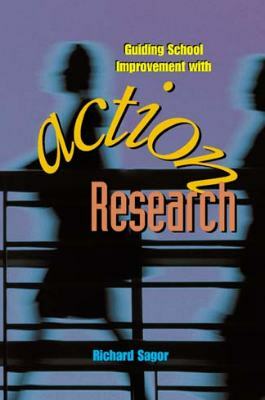 The primary reason for engaging in action research is to assist the “actor” in improving and/or refining his or her actions. Perhaps even more important is the fact that action research helps educators be more effective at what they care most about—their teaching and the development of their students. Seeing students grow is probably the greatest joy educators can experience. When teachers have convincing evidence that their work has made a real difference in their students' lives, the countless hours and endless efforts of teaching seem worthwhile. Once a focus area has been selected and the researcher's perspectives and beliefs about that focus have been clarified, the next step is to generate a set of personally meaningful research questions to guide the inquiry. Professional educators always want their instructional decisions to be based on the best possible data. Action researchers can accomplish this by making sure that the data used to justify their actions are valid (meaning the information represents what the researchers say it does) and reliable (meaning the researchers are confident about the accuracy of their data). Lastly, before data are used to make teaching decisions, teachers must be confident that the lessons drawn from the data align with any unique characteristics of their classroom or school. To ensure reasonable validity and reliability, action researchers should avoid relying on any single source of data. Most teacher researchers use a process called triangulation to enhance the validity and reliability of their findings. Basically, triangulation means using multiple independent sources of data to answer one's questions. Triangulation is like studying an object located inside a box by viewing it through various windows cut into the sides of the box. Observing a phenomenon through multiple “windows” can help a single researcher compare and contrast what is being seen through a variety of lenses. When planning instruction, teachers want the techniques they choose to be appropriate for the unique qualities of their students. All teachers have had the experience of implementing a “research-proven” strategy only to have it fail with their students. The desire of teachers to use approaches that “fit” their particular students is not dissimilar to a doctor's concern that the specific medicine being prescribed be the correct one for the individual patient. The ability of the action research process to satisfy an educator's need for “fit” may be its most powerful attribute. Because the data being collected come from the very students and teachers who are engaged with the treatment, the relevance of the findings is assured. When individual teachers make a personal commitment to systematically collect data on their work, they are embarking on a process that will foster continuous growth and development. When each lesson is looked on as an empirical investigation into factors affecting teaching and learning and when reflections on the findings from each day's work inform the next day's instruction, teachers can't help but develop greater mastery of the art and science of teaching. In this way, the individual teachers conducting action research are making continuous progress in developing their strengths as reflective practitioners. Increasingly, schools are focusing on strengthening themselves and their programs through the development of common focuses and a strong sense of esprit de corps. Peters and Waterman (1982) in their landmark book, In Search of Excellence, called the achievement of focus “sticking to the knitting.” When a faculty shares a commitment to achieving excellence with a specific focus—for example, the development of higher-order thinking, positive social behavior, or higher standardized test scores—then collaboratively studying their practice will not only contribute to the achievement of the shared goal but would have a powerful impact on team building and program development. Focusing the combined time, energy, and creativity of a group of committed professionals on a single pedagogical issue will inevitably lead to program improvements, as well as to the school becoming a “center of excellence.” As a result, when a faculty chooses to focus on one issue and all the teachers elect to enthusiastically participate in action research on that issue, significant progress on the schoolwide priorities cannot help but occur. Often an entire faculty will share a commitment to student development, yet the group finds itself unable to adopt a single common focus for action research. This should not be viewed as indicative of a problem. Just as the medical practitioners working at a “quality” medical center will hold a shared vision of a healthy adult, it is common for all the faculty members at a school to share a similar perspective on what constitutes a well-educated student. However, like the doctors at the medical center, the teachers in a “quality” school may well differ on which specific aspects of the shared vision they are most motivated to pursue at any point in time. Schools whose faculties cannot agree on a single research focus can still use action research as a tool to help transform themselves into a learning organization. They accomplish this in the same manner as do the physicians at the medical center. It is common practice in a quality medical center for physicians to engage in independent, even idiosyncratic, research agendas. However, it is also common for medical researchers to share the findings obtained from their research with colleagues (even those engaged in other specialties). School faculties who wish to transform themselves into “communities of learners” often empower teams of colleagues who share a passion about one aspect of teaching and learning to conduct investigations into that area of interest and then share what they've learned with the rest of the school community. This strategy allows an entire faculty to develop and practice the discipline that Peter Senge (1990) labeled “team learning.” In these schools, multiple action research inquiries occur simultaneously, and no one is held captive to another's priority, yet everyone knows that all the work ultimately will be shared and will consequently contribute to organizational learning. Enhance the motivation and efficacy of a weary faculty. Meet the needs of an increasingly diverse student body. Achieve success with “standards-based” reforms. Teaching in North America has evolved in a manner that makes it more like blue-collar work than a professional undertaking. Although blue-collar workers are expected to do their jobs with vigilance and vigor, it is also assumed that their tasks will be routine, straightforward, and, therefore, easily handled by an isolated worker with only the occasional support of a supervisor. The work of teaching has always been difficult. But now it isn't just the demands of the classroom that are wearing teachers down. Students increasingly bring more problems into the classroom; parental and societal expectations keep increasing; and financial cutbacks make it clear that today's teachers are being asked to do more with less. Worse still, the respect that society had traditionally placed upon public school teachers is eroding, as teacher bashing and attacks on the very value of a public education are becoming a regular part of the political landscape. Consequently, teacher burnout has become the plague of the modern schoolhouse. Many teachers now ask, “Am I making any difference?” Regardless of all the negative pressures on teachers, the sheer nobility of the work keeps many dedicated educators on the job, but only so long as they can get credible answers to the “efficacy” question. However, without credible evidence that the work of teaching is making a difference, it is hard to imagine the best and brightest sticking with such a difficult and poorly compensated line of work. Fortunately, evidence has shown that teachers who elect to integrate the use of data into their work start exhibiting the compulsive behavior of fitness enthusiasts who regularly weigh themselves, check their heart rate, and graph data on their improving physical development. For both teachers and athletes, the continuous presence of compelling data that their hard work is paying off becomes, in itself, a vitally energizing force. In a homogeneous society in which all students come to school looking alike, it might be wise to seek the one right answer to questions of pedagogy. But, as anyone who has recently visited an American classroom can attest, it is rare to find any two children for whom the same intervention could ever be “right on target.” The days are gone when it was possible to believe that all a teacher had to do was master and deliver the grade-level curriculum. It is now imperative that classroom teachers have strong content background in each of the subjects they teach, be familiar with the range of student differences in their classrooms, and be capable of diagnosing and prescribing appropriate instructional modifications based upon a knowledge of each child's uniqueness. The stakes in the standards movement are high. Students face consequences regarding promotion and graduation. Teachers and schools face ridicule and loss of funding if they fail to meet community expectations. Of course, none of that would be problematic if we as a society knew with certainty how to achieve universal student success. However, the reality is that no large system anywhere in the world has ever been successful in getting every student to master a set of meaningful objectives. If we accept the truth of that statement, then we need to acknowledge the fact that achieving the goal of universal student mastery will not be easy. That said, most people will agree it is a most noble endeavor in which to invest energy and a worthy goal for any faculty to pursue. The reality is that our public schools will not prevail with the challenges inherent in the standards movement unless they encourage experimentation, inquiry, and dialogue by those pioneers (the teachers) who are working toward meeting those challenges. For this reason, it is imperative that these 21st century pioneers, our classroom teachers, conduct the research on “standards attainment” themselves. So the time is right for action research. The teachers, schools, and school systems that seize this opportunity and begin investing in the power of inquiry will find that they are re-creating the professional practice of education in their locale as a meaningful and rewarding pursuit. Conversely, school systems that enter the 21st century unwilling to invest in the “wisdom of practice” will likely find it increasingly hard to fill their classrooms with enough teachers who are both capable of and willing to tackle the challenges that lie ahead.